There is a new trend in town! Or not. If you have heard about intermittent fasting, confused about intermittent fasting and curious about intermittent fasting, welcome to the club. Intermittent fasting is nothing new, it basically says to alternate between periods of eating and periods of not eating. Something that we normally do anyway. The length of time is different in each method, some say 8 hours of eating (not continuously, lol) and 16 hour of not eating, some say 24 hours of eating and 24 hours of not eating and there are many other variations. Intermittent fasting was has been practiced by many spiritual traditions and religions as fast days that are built in during the year. Firstly, think of the period from your last meal of the day to your next meal the following day as your intermittent fast. It is something we all do anyway, that is why breakfast is called breakfast, we are breaking the (intermittent) fast. Aim to stop eating a little earlier and start eating a little later to give your digestion at least a 12 hour break. More is better. WHY? That brings me to my second point. When you are eating often, every 2-3 hours, your digestive system is constantly working. It takes 2-3 hours to digest fruits and vegetables, 4-6 hours to digest grains and legumes, 6-8 hours to digest animal proteins. By eating often we are creating a situation where we pile up more food on top on food that has not been digested yet. And my final thought is that at night, when you sleep, your body goes into rest, repair and heal mode. But if it is busy digesting a heavy meal all night long, it cannot do that. That is why I recommend to have a lighter earlier dinner a few hours before going to sleep. You will also wake up with a lot more energy. So don’t complicate things, just make sure to give your digestion a daily break to completely digest all your food and rest up as your body does it’s healing magic during sleep. As always, you help navigate the maze of health trends and information that bombard me. Thanks. Good info on a topic that’s new to me. Ya know, I settle into my daily routines and eventually they get boring. It’s time I shake it up a bit. 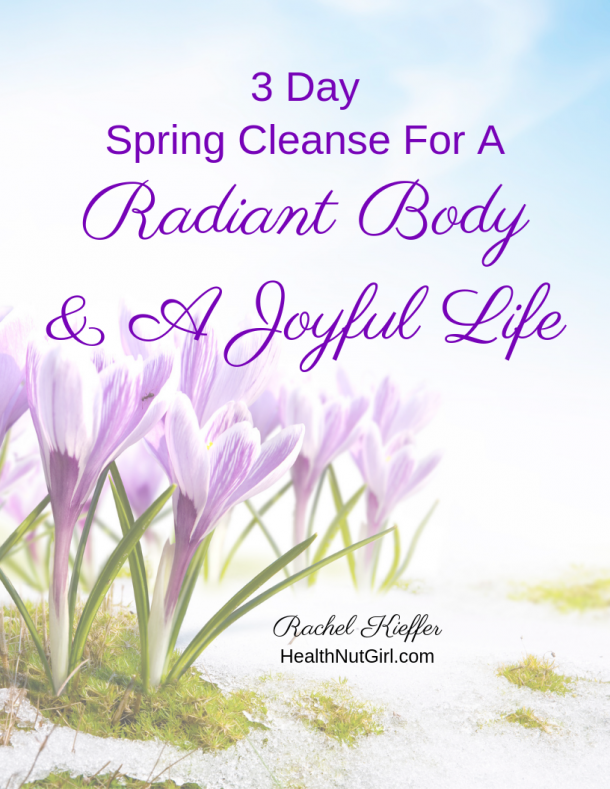 Thanks for inspiring me to take better care of how I am nourishing my precious body, Rachel. I make it a habit not to eat anything after 7 pm and lately have been eating my main meal at noon rather than 5 or 6. It has made a huge difference. I am currently doing a juice cleanse and feeling grateful for the resiliency of my body. I am grateful for the many ways to nurture our bodies and for all the great information you share Rachel! 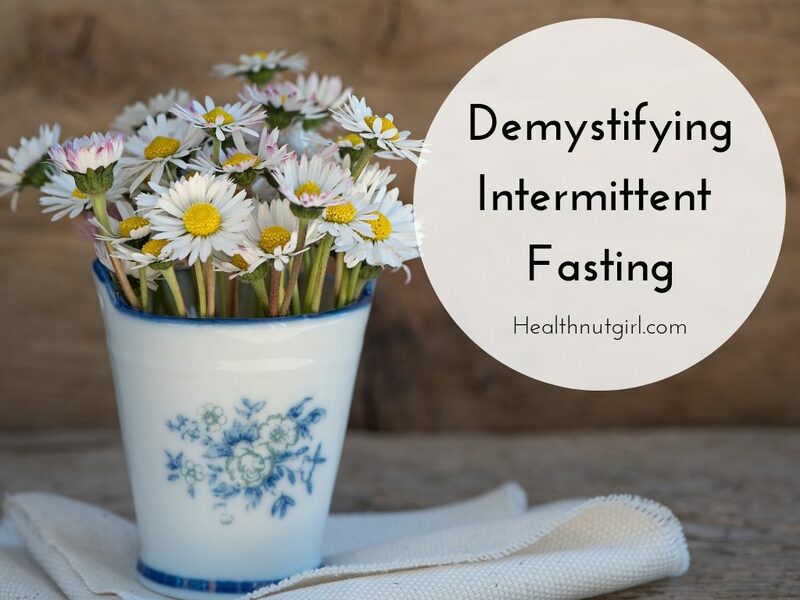 Intermittent fasting is definitely a new trend…but not for most of us who have been doing it as a yearly ritual for years 🙂 We(muslims) fast in the Holy month of Ramadan, which is exactly intermittent fasting. But eating junk in between those hours when you DO eat, defeats the purpose. So I prefer about two light meals(fruits, salads) in the hours i do eat. And while I do fast one month of the year…I also make it a point to practice intermittent fasting once every week, just to give the digestive system a rest. Helps immensely!